Today’s fiercely competitive online shopping environment is driving more ecommerce businesses to find innovative and creative ways to attract and retain customers. One of these is VetShop Group, which is successfully leveraging the power of technology and a unique competitive event to drive digital engagement and boost sales. 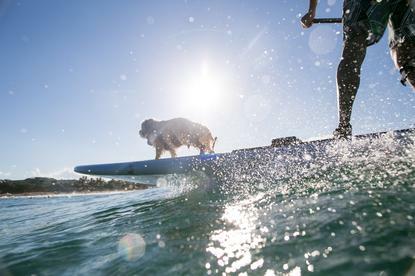 For the past six years, the Queensland-based online pet supply and medicines business has not only been hosting the Surfing Dog Spectacular for over 6000 residents in Noosa, Australia, it’s also been using it to drive digital engagement with both national and international customers. In order to get the event underway, Perissinotto teamed up with an existing surfing festival that already had a promotion infrastructure. While the dog surfing event is owned by VetShopAustralia, it’s held within the framework of a wider, established event. The company also sought sponsorship as part of its collaboration strategy from a firm whose pet medicines it sells. “We identified one who had a product for dogs, which just happened to be waterproof, and pitched the idea,” Perissinotto said. “We explained we were targeting exactly the sort of pet owners they wanted as users and that we would give them heaps of national exposure. It made great sense. One of the unique elements of the event is dogs surfing. This appealing novelty meant pictures and videos uploaded and shared on social media attracted a lot of views, allowing the business to boost social media engagement significantly with relatively little spend on content marketing. Since the launch of the surfing dog contest, VetShopAustralia has had over 19 million combined video views, with one video alone receiving over 16 million views, 160,000 likes and 12,000 comments on Facebook. On top of this, it’s received hundreds of media mentions. While boosting engagement can be highly effective through a visually appealing novelty event, the next challenge was to convert that attention to actual sales. The company offered to keep those engaged with the event updated on upcoming surfing dog events via email communications. These were managed via Oracle’s cloud-based commerce marketing automation platform, Bronto. As a result, the company saw a 12 per cent increase in traffic in the month leading up to the event in 2016, and a 36 per cent increase in traffic in the month following. Sales were up 4 per cent in the month after the event and 14 per cent the following month. This year, Perissinotto said the company recorded similar figures. “There were intangible benefits as well,” Perissinotto said. “The event raises our status with suppliers. When you’re on TV, in the press, speaking at conferences, you’re considered a business leader. And business leaders have an advantage when it’s time to negotiate terms and get better support and more attention from suppliers. Overall, we're just thrilled with the results."